Survey: Fake News? Real News? Your News? Music Video: "Hoods and Durags"
Beat sugar and margarine into a large bowl with mixer at medium speed until creamy. Beat in egg substitute, vanilla, and almond extracts. Mix flour and baking powder; stir into margarine mixture. Divide the dough in half; tint half of it with red food coloring. Wrap each half and refrigerate for at least 2 hours. Divide each half into 32 pieces. Roll each piece into a 5-inch rope. 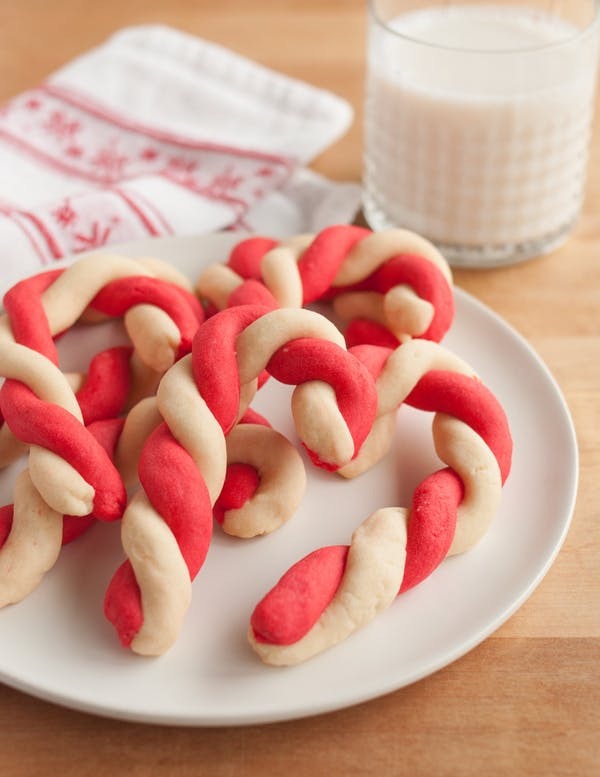 Twist 1 red and 1 white rope together and bend 1 end to form a candy cane shape. Place on ungreased baking sheets. Bake in preheated 350 degree oven for 8 to 10 minutes or just until set and lightly golden. Remove from sheets; cool on wire racks. Store in an airtight container.